Alex is the founder of AOK Events with over 25 years’ experience in hospitality & events. Alex is passionate about every event we produce being as close to perfect as possible, as well as striving to give our growing workforce a happy, challenging career that they can be proud of. He is responsible for continuing our sustained growth and turning AOK Events into the best event management company in the UK. Outside of work, Alex is an avid cricketer, taxi driver to three sports mad boys and lover of fine wine, good food and the time honoured art of splitting wood. Jo has been in the events industry for over 20 years and co-founded AOK Events. Jo's true passion, however, lies with venues and in 2011 she started the Venue Finding department, which has grown into a vital part of the business. 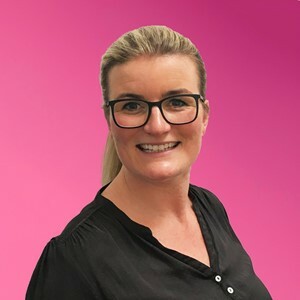 Jo’s role now encompasses all areas of the business, spending time with key clients and planning their event programmes. Outside of work, Jo is a busy mother of two with a love of travelling. Having been brought up in the Bahamas, Jo is permanently cold and given any excuse, she jets off to far corners of the globe following the sun! Giles is Non Executive Director at AOK Events. He has a wealth of experience after starting Creative Breaks & subsequently moving roles to Quintus, IMG as well as various other appointments within the hospitality industry. Giles loves nothing more than a good Excel spreadsheet. 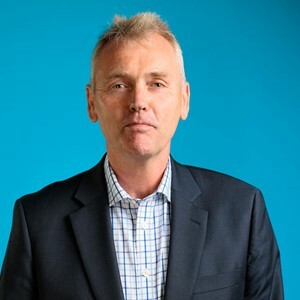 Appointed as Non Executive Chairman of AOK Events in 2015, Mike Kershaw comes with some of the UK’s most impressive and influential events expertise, having spent the last 26 years helping build Concerto Group into a £40m a year business. Mike has been tasked with helping AOK Events drive growth through strategic acquisitions and product development, and he is relishing the opportunity to work with, what he sees as, one of the rising stars of the events industry. Anna is an experienced marketeer with a background in hospitality marketing and media content production. A digital native with a passion for design, she has worked with prestigious brands including Virgin Media, Channel 4, Red Bull, TFL and the BBC. 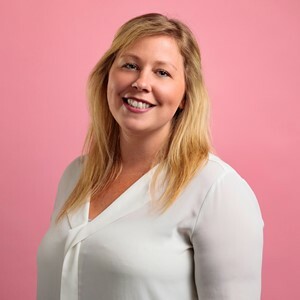 In her role as Group Head of Marketing, Anna is passionate about growing and shaping the AOK Events Group brand, as well as ensuring you’re able to discover and benefit from our fantastic services. Outside of the office Anna loves interior design, and is the only person (ever) to have enjoyed a trip to Ikea. After graduating from Bournemouth University, Tom set sail for London and joined AOK Events as Marketing Executive. His passion for marketing and events began when taking a year out from his studies, where he had the opportunity to work with clients such as Volvo, J.P. Morgan and Land Rover BAR. Outside of the office, he enjoys rearranging furniture, going to live events and popping home to the Isle of Wight (no passport required) for a surf. Justin is a freelance accountant who brings a wealth of experience to the AOK Events finance team. Justin has worked for a number of accountancy firms including top six practice BDO Stoy Hayward LLP, before stepping into industry and now works as an independent advisor. Away from numbers, Justin enjoys holidaying with his family, watching lower league football at Portsmouth, following the England cricket team and paddleboarding when the sun is shining. Hailing from Seville, Cristina had worked in a variety of different industries as an accountant before leaving the fantastic Spanish weather behind 3 years ago, for the UK. Before joining AOK Events as Accounts Assitant, Cristina worked in a specialist accountancy firm working with the music industry where she gained huge amounts of experience. When she's not working hard, Cristina loves running and would like to run a half marathon. Also, as the only fluent Spanish speaker at AOK Events, she has big plans to turn some of her workmates into native speakers! Olé! Having previously worked for the company from 2010-2013, Sam is the first person to re-join AOK Events for a second spell. 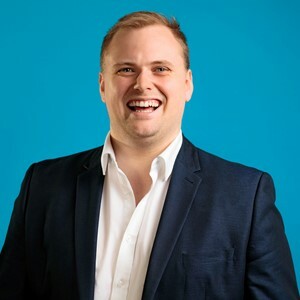 Sam returns to the company to launch our new sponsorship consultancy, AOK Connect, and will be putting his industry experience with The Rugby Players’ Association and Ascot Racecourse to good use. When not at AOK Events HQ, Sam can be found playing football throughout the winter and at racecourses throughout the summer. Having been born in Oxford, he is obviously well qualified to be a Manchester United fan and cites Roy Keane as his footballing hero. Fresh from the technology industry, Lily joins AOK Events to grow our new software, Eventrax. 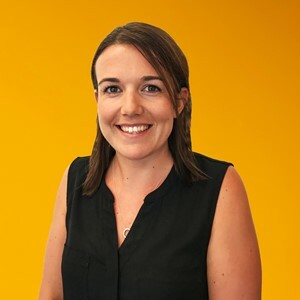 Lily’s experience lies in the SaaS software landscape, and she brings with her a wealth of knowledge when it comes to Digital Transformation projects. Lily’s role is to develop new business opportunities whilst enhancing current client partnerships across all of AOK Events' branches. 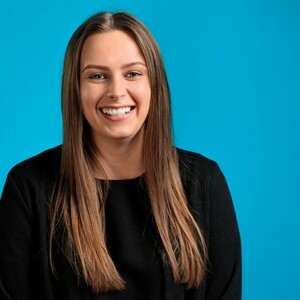 Outside of work, Lily enjoys a day at the races and also loves an adventure whether it be a muddy music festival or travelling to a new country! James joined AOK Events as Managing Director of AOK Creative in 2017. 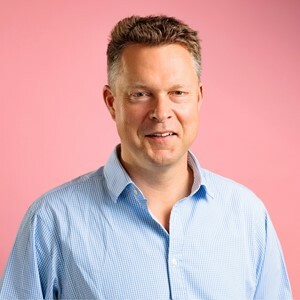 He has enjoyed delivering a wide range of client live events for over 20 years, with recent experiential roles at IMG and Imagination, delivering both business and consumer activations in various global locations. At AOK Creative James oversees the team’s excellent delivery of events for our clients, 212 bookings in 2017. Recent highlights have included Michelin’s launch of their new restaurant guide, incentives to Dubai, Las Vegas and Mykonos, conferences for Appian and Entrust Permal and event registration websites. Vicky is Head of Event Operations for AOK Creative and joined AOK Events way back in April 2004. With a wealth of experience gained from the hotel industry, Vicky has responsibility for a number of our premier clients' events and loves organising anything a bit different. It's Vicky who's in charge of making sure that perfect events are achieved every time. Joining as a graduate in 2012, Dan has since established himself into an integral member of the AOK Creative team. During his time with us he has built and developed his skillset to gain relationships with a variety of key suppliers and brands including; Linkedin, Santander and EDF. 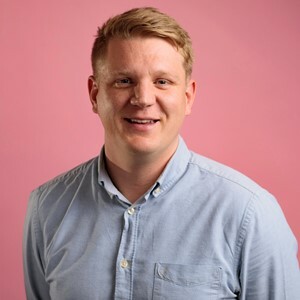 Dan’s highlights at AOK Events include being named as part of the C&IT A-List, which celebrates the top agency players under 35, as well as officially making the best cup of tea in the office. In his free time, Dan is player manager of the mighty Weirside Rangers FC and is slowly trying to sample every pub and restaurant in the Capital. Charlie is an organised, creative thinker – so naturally a great fit for events management! Her background is in catering and venues, and she brings with her a wealth of knowledge of the industry. Charlie’s experience ranges from state banquets to large tech conferences all the way down to intimate high-end dinners. She is a big foodie and loves incorporating all aspects of an event into a theme. Amongst her corporate profile she has worked with a variety of sectors including clients from fashion, banking, insurance, publishing and retail. Outside of work Charlie is a huge Harry Potter fan (and proud!) and can often be found singing karaoke with a glass of wine in her hand. Jessica supports the AOK Creative team with events across a wide range of sectors. She loves being creative and producing bespoke events that go above and beyond the client’s expectations. Jessica has a wealth of experience in producing everything from huge exhibitions to small intimate dinners and international incentives. Jessica has worked with a wide variety of different sectors from banking to tech and brands including AXA, Urbanest, Wasabi, AEGIS, and Chanel. Outside of work Jessica loves cooking for friends, is always on the lookout for new bar and restaurant openings, and really enjoys exploring new cities. 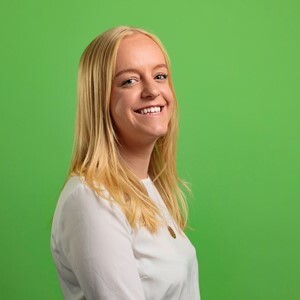 Joining as a graduate from Warwick University in 2018, Sophie has supported the AOK Creative team at key events for LinkedIn, Michelin, Car Gurus and more. 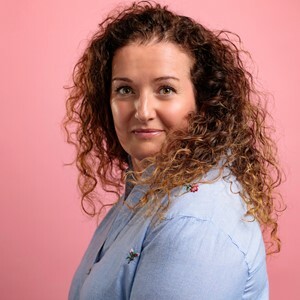 She previously freelanced on events for Jacobs Media Group, working mainly within the travel and catering industries on awards ceremonies, showcases, business breakfasts, and countrywide roadshows. Sophis loves working with a diverse range of clients and is always excited to create and deliver their dream events! Sophie's a massive foodie who loves skiing, singing and keeping active - even setting up The AOK Events Group's first netball team. 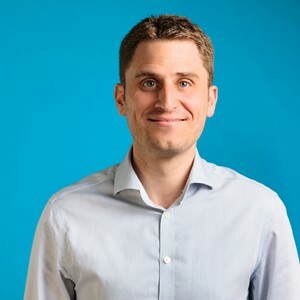 Having started wefindvenues over 5 years ago Paul now focusses on the sales and development strategy for both the team and the wefindvenues platform. Despite his youthful good looks, Paul has over a decade of experience in events management, team building, and venue finding in the UK and across Europe. Outside of work he can usually be found whipping up a delicious feast in the kitchen or out walking his dog - always enjoying the obligatory post-walk pub stop of course. Rachel is Senior Manager on the wefindvenues team. 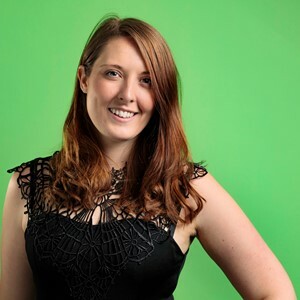 She first developed a passion for venue finding and events management in her previous role at Lime Blue Solutions, before moving to London and increasing her knowledge of the industry as a Conference Consultant at Capita Travel & Events. Throughout her career she has been privileged enough to organise large scale events in Dubai, Russia and across Europe for a variety of high-end clients. 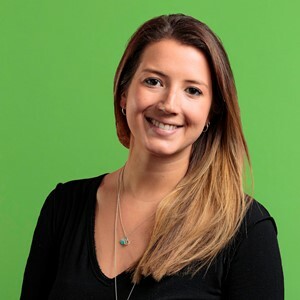 Rachel also has a degree in Leisure Marketing from Bournemouth University and spent a year after her studies travelling South East Asia, New Zealand and Australia. When not hard at work she enjoys nothing more than a boozy brunch with her pals, sunning herself on a beach or hitting the dance floor at Soul Train. Suzanne has been with wefindvenues since day one and is a familiar face and voice to many clients. In a previous life she worked in hotel management for the Trust House Forte Group at their iconic Browns Hotel in Mayfair and then the Berystede in Ascot before moving to Ramada Hotels. She is our go-to venue guru and specialises in finding large conference venues across the UK. In her spare time she enjoys good food, long dog walks and chasing around after her three (grown up!) children. Hollie joined wefindvenues in June 2016 after finishing her degree in International Hospitality Management at Bournemouth University. Previous to this she completed a year placement at an events agency Lime Blue Solutions which is where she found her love for venue finding. Hollie has also been lucky enough to be involved in the event management side of large conferences/events which she thoroughly enjoyed. Hollie loves going out and seeing exciting new venues and working closely with clients to find the perfect space for their event. She was also lucky enough to live in Dubai when she was younger and loves to visit as much as she can. Outside of work Hollie can be found in a bar with a cocktail in her hand! Becky is a Venue Finding Executive on the wefindvenues team. She found her love for events whilst working in a 200-year-old family run cider farm in Somerset. 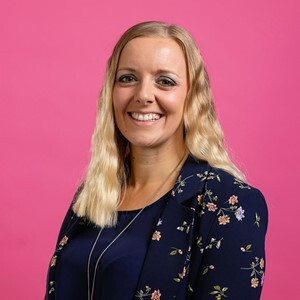 After completing an event planning course at Bridgwater College, Becky moved to London to work for Capita Travel and Events where she expanded her industry and venues knowledge working as a dedicated consultant for one of Capita’s VIP clients and bookers in some of London's top hotels. Becky is a country girl and in her spare time, she is often found still seeking the fresh country hills or beaches to take her pooch for a walk. Becky also enjoys wining and dining herself, although her waistline isn’t such a fan! 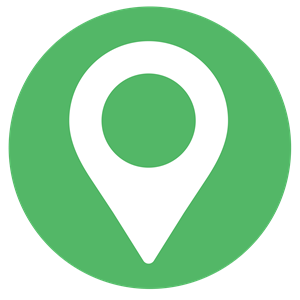 Emma joined the wefindvenues team in 2016 as Venue Finding Executive. She first developed her interest in working in events when she lived in Melbourne working for events design company, JAK Creative and Events. 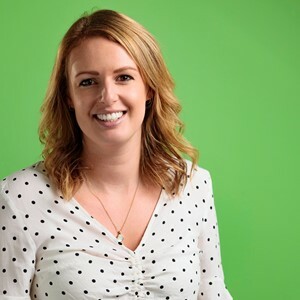 Emma has also worked for Macmillan Cancer Support at their head office in the Special Events Team where she was able to assist with their annual events at a host of top London venues, whilst helping to raise huge amounts for the charity. Outside of work, Emma loves to cook up different dishes for her friends. She has also recently started to learn Spanish and is hoping to head to Spain this year to attempt to practice a little bit of the language! Olé! 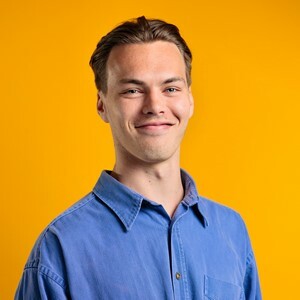 Louis joined the wefindvenues team in September 2018 having recently graduated from Solent University with an Event Management degree. He spent time freelancing within the events industry alongside his studies in a number of roles including Venue Finding and Event Management. He has also spent the last three years working part-time in the hospitality industry at St Marys Stadium. Louis is looking forward to helping our amazing clients find the perfect venues for their events. 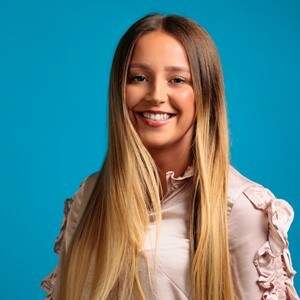 Ellen joined the wefindvenues team in 2019 on an Event Management internship from TUDublin. She bought with her four years of hospitality experience from working in an exclusive boutique hotel in Dublin. Prior to this, Ellen worked on events for Littlewoods, VbyVery, and Debenhams as a freelance Events Assistant. 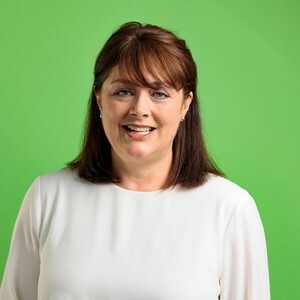 She is the only Irish member of The AOK Events Group, with an unsurprising passion for potatoes and the colour green. Ellen is excited to expand her knowledge in the UK Events market whilst helping our clients find their perfect venue every time. Dan is an experienced consultant, starting his career in corporate hospitality in 2007. With previous roles including selling Club Wembley seats for IMG at Wembley Stadium, Prestige Ticketing for the Olympics in London 2012 and most recently Head of Sales for Ryder Cup 2014. 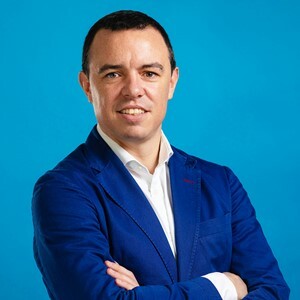 Dan joined AOK Events to head up the Rugby World Cup sales team, and now manages AOK Events hospitality arm, AOK Cavendish as well as his position as Group Commercial Director. Outside of AOK Events, Dan is a passionate Arsenal supporter as well as a cricket, tennis and all round sports fanatic. Philip has an unrivaled wealth of experience and contacts in the hospitality and events industry. Having finished his professional football career at the tender age of 29, with spells with Wimbledon and Chelsea, it was a natural move into sports hospitality. Some career highlights for Philip include working on both the Australian and New Zealand Rugby World Cups, as well as being side of stage at The Royal Albert Hall watching Frank Sinatra! When not overseeing hospitality sales for AOK Cavendish, Philip can regularly be found travelling on the M6 at weekends to see his beloved Carlisle United! 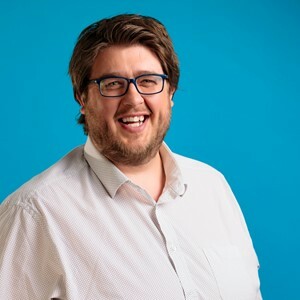 Rob has a wide range of sales experience, and has been in the sports industry for a number of years with a wealth of experience working with international organisations such as World Rugby, Loughborough University, the UN World Food Programme and SportAccord. As Sales Manager of AOK Cavendish, Rob works across all of AOK Cavendish’s offerings and loves nothing more than getting to know his clients and helping them find the perfect event to fit their requirements. In his spare time Rob is a full-time Cricket & Rugby Tragic, and is an expert at remembering utterly useless facts and trivia from the world of sport. 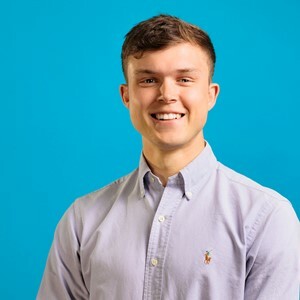 Matt joined AOK Event in 2015 after studying Marketing at the University of the West of England. Hailing from a sporting background, Matt worked for the likes of Hampshire Cricket and Bristol City Football Club before joining the AOK Cavendish team. Matt’s role is to generate new business as well as develop existing relationships with our ever-growing client base. Matt heads up music hospitality, as well as ensuring our clients get the best hospitality offerings for Wimbledon. In his free time, Matt is a huge football and music fan – with Glastonbury Music Festival and Southampton Football Club being his true loves. 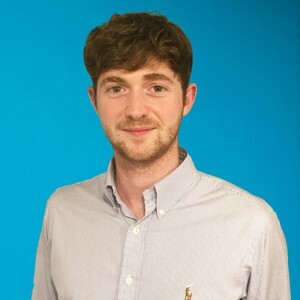 With a background in hospitality and events and a love for all things sports and music, Chris has joined AOK Cavendish as Business Development Executive after over a year in the events industry. Having attended some of the world’s most prestigious competitions including The Rugby World Cup, The British Lions, Wimbledon, The Australian Open, The Australian Grand Prix, and The Melbourne Cup, Chris has a strong understanding of the industry and will ensure that he gets to know what his clients really want. Out of the office, Chris can be found watching the rugby, making a mess in the kitchen or falling agonisingly short in his latest football accumulator. Tim started his career at Wembley Stadium (before it opened) looking after the Bobby Moore Club hospitality and seeing it through its first few years of major events. From there he worked on 2009 British & Irish Lions Tour & 2010 Fifa World Cup, both in South Africa. A 3 year stint in FMCG at Premier Foods followed working with Tesco & Co-op on Mr. Kipling cakes and Hovis bread, before returning to sports via the Ryder Cup 2014. Tim now heads up the hospitality sales for London’s up and coming polo event, Chestertons Polo in the Park. Outside of work, Tim has been playing rugby for the same club for 14 years (against his better judgement) and also spent 18 months as a stay at home dad pretending he was in charge! Hailing from the tropical island of Trinidad, Charlene has a background in media and television production. 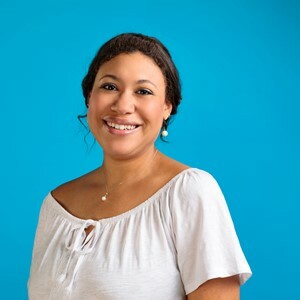 With an interest in corporate media and entertainment Charlene ventured into the compliance and media monitoring industry in the UK working with companies such as Sony Music, Disney, Universal, Lionsgate, Paramount and ITV. As Client Services Manager within the AOK Cavendish team, Charlene ensures first class service is available to our clients, so they have an exceptional experience when booking corporate hospitality. Charlene enjoys going to gigs and spending quality time at home with a glass of Prosecco. Katherine started out her career in corporate hospitality, working for AOK Events' co-founders Alex Hewitt and Jo Greenstock, where she discovered her passion for exceptional client service. Her career has included working at Langston Scott, followed by Compass/Keith Prowse, the launching of The Tower Music Festival, Quintus, IMG and Mike Burton. From running her own business to juggling three children and a recent Social Media Marketing diploma, Katherine’s strengths lie in multi-tasking and attention to detail. This is Elle’s first job in the events industry after completing her Level 3 Legal Secretary course at Epping Forest College. Elle supports the AOK Cavendish team as Senior Client Services Executive and is an invaluable member of the team. She enjoys working in the fast-paced world of live events and is looking forward to developing her skills further within the company. Outside of AOK Events Elle love sports, especially football and swimming, as well as getting out to watch live music as often as she can. 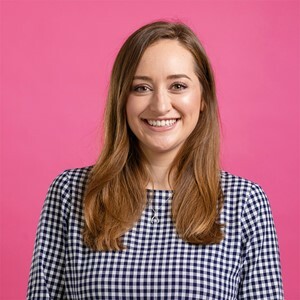 Olivia’s passion for events began from working at Lamb Chambers Barristers as a junior clerk, helping to run and organise conferences, talks and events. After working there for nearly three years, she decided it was time to embrace the events world fully and find a fabulous events company to work for! As Client Services Executive, Olivia supports the AOK Cavendish team, and is looking forward to progressing further within the company. When not at work, Olivia enjoys sports and music. She likes to keep a balanced lifestyle by going to the gym and keeping fit, whilst also meeting her friends for cocktails and eating her favourite food - chips! Rianne is an invaluable support to the AOK Cavendish team as Client Services Executive, making sure our clients receive all of the information they need regarding their bookings and hospitality packages. 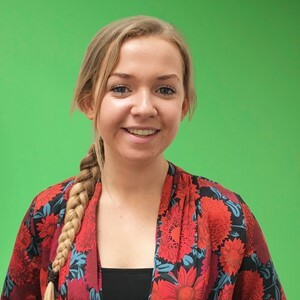 Having recently finished a degree in Event Management at the University of Winchester, Rianne is thrilled to have a role in the events industry where she hopes to put into practice everything she learnt at university. In her spare time, Rianne enjoys throwing a ball around the netball court and travelling. Amanda is Account Director at MELON. With a black belt in parties - summer, Christmas, anniversary (or just because), she knows what makes the perfect event. A creative, who loves the sublime and ridiculous, she’s a demon at dressing and has the vision and practical experience to enhance or transform any space. When she’s not creating parties, Amanda is trying to better her roller skating proficiency. Louise's bio is coming soon! Kayleigh is an Account Executive at MELON. She's creative, crafty and loves growing customer relationships. 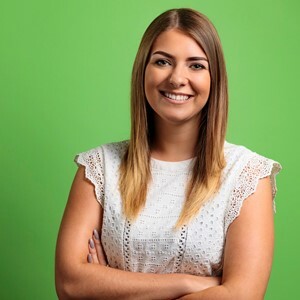 Kayleigh heads up MELON's shared Christmas party bookings across multiple clients, as well as creating bespoke parties from scratch! Away from The AOK Events Group, Kayleigh is a qualified Zumba instructor and a not so qualified Netflix expert.